Having been deterred by the virtual format and foolishly dismissing the EP as an oddball collection of alternative versions it has largely been ignored for the latter six months of the last year. But on closer inspection, there is actually only one familiar song title amongst the eight cuts presented. The material also spans many moons, continents and a multitude of souls. So yes, appearances can be deceiving indeed. The title track and “The Sea Goat” are the oldest on offer, all the way from 2007, so it seems fitting that they should come first. Whilst being recorded in Brooklyn and Hong Kong respectively, by entirely different line ups, it provides a glimpse of the band’s early evolution. 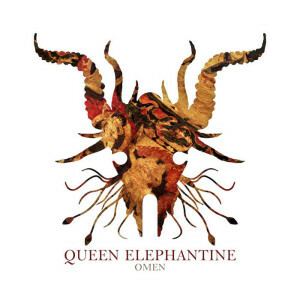 Their droning bludgeon swings in a sluggish left right aural assault with the hammered dulcimer on “Omen” providing some unusual stringed colour. The latter, however, is a cruder and less remarkable affair in the spirit of the “Surya” era. Five to six years on, “Gamma” and “Morning Three” make a considerably different pairing, in a meditative direction, one which the band explored and honed with passing time. The spacing and phrasing of acoustic and electric guitars over sparse percussion is bewitching in its simplicity. That calm flows into the shorter counterpart and is underlined by the tabla replacing the drum kit. Whilst “Search for the Deathless State” provided the mammoth opening to the colossal “Kailash” album, here, in an expanded live form circa 2013, it unfurls as a vast sweeping plateau at the very heart of this recording. Even without the original cast it has lost none of the impact. Distilled thus, pure and earthy, neither rushed nor flamboyant, this is Queen Elephantine at her most potent. Crushing and unforgiving. The final movement is a three-pronged foray, which provides a certain meditative symmetry to what came before. The “Horseman” takes an eerie step off the beaten track. Strange sounds surround and disturb. Tribal eyes peer and hands scratch within the undergrowth. Slipping into the hypnotic “1000 Years” a haunting wind breathes down on our necks. The trees hum. Disapproving. Their allies concurring with harsh horns far in the distance. Then emerging from the cacophony, the “Shamanic Procession” is guided by a commanding voice. Percussive booms and deep bass magnify the march towards its clipped close. A frenzied finale or fade out never comes. This is the end. But surely such yearning for more is a good sign? Credit where it’s due. The lack of repetition or overlap with studio albums, without any real dip in quality throughout, is commendable. Somehow this nebulous and nomadic entity derives strength from change. “Kailash” cemented their reputation in 2010. The inventive six slabs cut in Brooklyn, New York and Providence between 2009/13 in parallel to it, “Garland of Skulls” and “Scarab” reinforce that trajectory. Worthy of a physical presence, this EP might just slake thirsts until the fifth full-length album comes. Overlook at your peril!